With celebrations across the country, the Australia Day long weekend is the perfect time to take a road trip. Escape the city and start exploring some of the secluded beaches, historic small towns, and vibrant communities that make Australia such a fantastic destination. VroomVroomVroom has put together a few Aussie road trip itineraries to help you celebrate the long weekend. Why not celebrate Australia Day in a truly unique way, by rediscovering some of the heritage towns in the beautiful New South Wales countryside. The Central West puts a lot of effort into their Australia Day celebrations. In the small town of Carcoar, visitors can watch re-enactments of battles with bushrangers during the 1800s. Where to stay? Base yourself in Bathurst or Orange. These cities are central to many exciting heritage road trips, and there are plenty of accommodation options to choose from. Enjoy a meal at one of the quaint cafes in the small village of Millthorpe, just 20 minutes outside of Orange. You can take a wine tour and sample some of the delicious local delicacies. 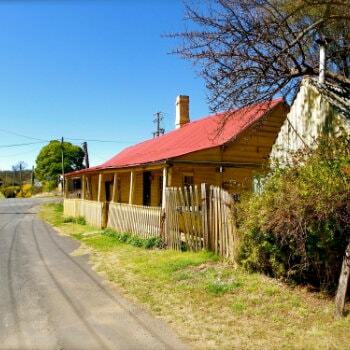 Experience Australia's gold mining history in Hill End. Located in the Bathurst region, this colonial town has plenty of historic buildings, including old shop fronts from the gold rush period. What would an Aussie road trip be without enjoying a meal at a pub? Head to the classic Royal Hotel in Sofala. Don't forget to try your luck at gold panning while visiting the town. Getting there: Pick up your rental car in Sydney and head west over the Blue Mountains. It takes about three hours to reach Bathurst from central Sydney, and a further 30 minutes on to Orange. Break up your trip with a few scenic stops in the mountains. Nothing says Australia Day like sun, sand, and the surf. Queensland's Sunshine Coast is second to none in terms of exciting beaches. Whether you are after a quiet, solitary stretch of sand or a vibrant seaside esplanade, you will find it here. Visit Marcoola on Australia Day, where you can enjoy fun rides, activities for all ages, entertainment and even a temporary marketplace! Where to stay? There are a lot of different accommodation options in the Sunshine Coast. Among the most popular regions are Noosa, Alexandra Headland and Caloundra. Visit King's Beach to enjoy a swim in an ocean-side pool, or follow the scenic boardwalk. Try and spot some marine wildlife from Coolum Beach. This is a popular place to look for turtles. With great hiking trails scaling the cliffs and lining the beach, you can get some great views. Noosa has made it onto the travel itineraries of many international visitors. 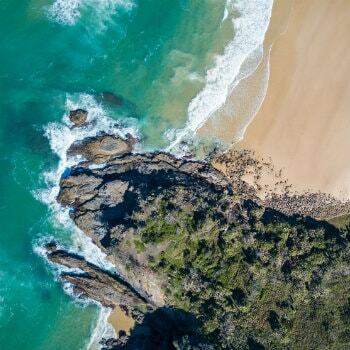 Enjoy the views of the stunning beaches while finding a parking spot in Noosa National Park. Getting there: Find a great car rental deal in Brisbane. Follow the Bruce Highway north from the city, and take the exit for the Sunshine Motorway. The journey should only take around 90 minutes. There are plenty of fantastic restaurants and wineries in Victoria, and most are within easy reach of Melbourne. Why not spend your Australia Day sampling some delicious foods in the beautiful Dandenong region, or visit a vineyard in the Yarra Valley. There are a few Australia Day events in the area, including a celebration in Dandenong that will feature an array of Yarra Valley foods. Where to stay? There are some beautiful estates and cottages where you can stay in the Yarra Valley. Stay in Yarra Glen or Healesville so you have easy access to the vineyards. Explore the Cloudhill Gardens in the Dandenong Ranges. Visitors can take a guided tour, and enjoy a meal at the local Seasons Restaurant. Dine in at Coonara Springs, which is one of the oldest restaurants in the region. With fantastic views over the Yarra Valley, and a scrumptious Australian menu, it is the perfect way to celebrate the weekend. 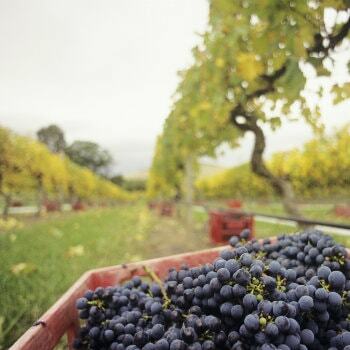 Visit wineries like the TarraWarra Estate or Giant Steps. There are plenty of wineries to choose from, each offering unique gourmet experiences. Getting there: You can rent a car in Melbourne with VroomVroomVroom to take advantage of affordable rates. Head north on Eastlink toward the Maroondah Highway. It will take just over an hour to reach the Yarra Valley.